If you are looking for the best locksmith services in the land between the lakes, then you’ve come to the right place. We are South Austin Locksmith and we have local, mobile units available 24-hours a day throughout the area. So you can always count on our locksmiths in Steiner Ranch for all of your lock and key needs. When you get locked out of your car, move into a new home, or upgrade your workplace security, you need a skilled locksmith you can trust. You need South Austin Locksmith. Serving Steiner Ranch and the entire greater Austin area, our expert local locksmiths are licensed, bonded, insured and have years of experience performing a wide variety of lock and security-related tasks. Whether you need a new security system installed or emergency 24-hour locksmith service, you can count on us to deliver fast and reliable results. If you’re in need of a locksmith in Steiner Ranch Austin Texas, contact us today for immediate friendly service! Locked out of your car or home? Don’t worry, call us instead. At South Austin Locksmith, we pride ourselves on making it to any location at any time with tools in hand in 30 minutes or less. So, if you’ve misplaced your keys, we’ll be there in the blink of an eye to get you back inside your car, home, or business in no time at all. 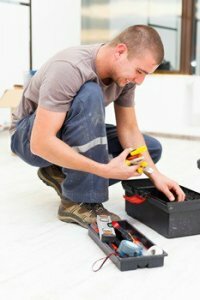 Our emergency locksmith technicians are also well known for friendly assistance that helps make frustrating situations easier and less stressful. Key break off in a lock or need help with a safe? Well, we can help in these situations too! In fact, we promptly respond to an array of emergency situations. Whether you need help with your car’s ignition cylinder or your home was burglarized and need new locks ASAP, we pledge to arrive onsite within minutes ready to secure your home or get you back on the road. Everyone loses their keys or accidentally leaves them locked in their car at some point in time. Although smart keys are becoming more and more widespread, we still receive calls each day from Steiner Ranch residents and drivers who are locked out of their vehicles and need our help. Fortunately, we always answer and arrive at each service call in less than 30 minutes at any time night and day. In fact, we guarantee it. Ignition cylinder reapir and more! In other words, we’re expert mobile locksmiths ready to get you back on the road in the drop of a hat. And the best part is that our mobile units will arrive at your location with all of the necessary equipment to handle the job right then and there, for all types of vehicles and all types of keys. Why Choose Us As Your Commercial Locksmith? Needless to say, if you’re looking to upgrade the safety and security of your Steiner Ranch business, our skilled techs are up to the task. Your home is a safe haven. It’s a place that provides shelter and safety for you and your family. Well, at least it’s supposed to. Unfortunately, thousands of homes, regardless of the neighborhood, fall prey to burglars and become compromised across the U.S. each and every year. Don’t let your home become one of them. 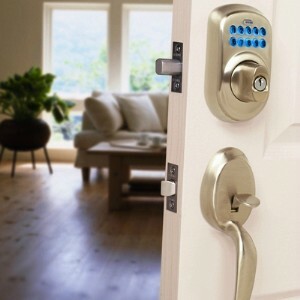 Whether you’re looking to beef up your home security with CCTV, change the locks after moving into a new home, or replace your current locks after a burglary, we’re here and happy to help. Our residential locksmiths are highly skilled and trained to repair and install everything from security cameras to highly secure mortise and keyless entry locks, so call us today to make your Steiner Ranch home as safe as it can be! And when you need home lockout assistance, we arrive faster than anyone else! Highly secure Grade 1 locks and more! With years of experience servicing homes and businesses throughout the Austin area, there isn’t a lock we haven’t seen. Whether you need emergency lock replacement for your home after a burglary or want to upgrade the security of your business with Grade 1 locks, our expert locksmiths can do it all. And we can work with all of the top lock brands on the market like Corbin Russwin, 4Front, and more. Learn more about our complete range of lock services in Steiner Ranch today! A properly functioning garage door is must for any home. Not only does it protect your car, tools, and any other items you may have stored in it from inclement weather, but it also provides an added layer of protection for you and your family. If you’re in need of professional garage door services for your Steiner Ranch home, we have you covered. With the tools, training, and experience needed to tackle any garage door installation or repair, our garage door pros can be called upon to safely secure a single car or a collection of prized autos. Will you really show up at my home, car, or business at any time of the day or night? We are proud to offer professional 24-hour locksmith services to all of Steiner Ranch and Austin TX. And, unlike some other companies out there, we won’t charge an extra fee for “after hours” services. I lost my house key. Do I need to have the locks changed? Most locks can be re-keyed, providing you with a cost-effective solution for keeping your family and belongings safe. My children are always misplacing their keys. What should I do? Many quality lock manufacturers offer keyless entry locks for commercial and residential properties. With one of these sleek, fully programmable systems, each child can be given a code, completely eliminating the lost key issue. I just moved into a new home. Should the locks be re-keyed? How many cleaners, contractors, old babysitters, neighbors, and others do you think are walking around with a key to your home? Prevent the possibility of future problems by having our experts re-key the locks, so only people you trust will have access to your home. And if you are interested in upgrading your lock system or want to go with a different design, we can help with that too. If you didn’t find the answer to your question here, just give us a call and let us know how we can help you. Need residential, commercial, or automotive locksmiths in Steiner Ranch? We are available 24/7 and offer the best locksmith services in all of Austin, so don’t hesitate to contact us today and request our expert lock and key services! Steiner Ranch Locksmiths https://south-austin-locksmith.com/steiner-ranch/ 3.8/5 based upon 29 reviews.